Anodor, one of France's leading two-year-olds last season, will go directly to the Emirates Poule d'Essai des Poulains (French 2,000 Guineas) at Longchamp on May 12 without a prep. Freddy Head revealed the plan for the Anodin colt – who chased home Royal Marine and recent Leopardstown winner Broome in last season's Prix Jean-Luc Lagardere – in an interview for RPTV. "I'm not going to do any re-entry [prep races] with him, I'm going straight to the French Guineas, the Poule d’Essai," said Head. "Those re-entry races are very tough races and sometimes it's not a good thing. "In England they come back in the Guineas but in France we don’t do that. I think it's silly." Head has kept the wraps on most of his best horses but, with Lily's Candle and Lone Peak having made their seasonal returns at Longchamp on Sunday, thoughts have turned towards some of the other big names set to head up his powerful team for the season. 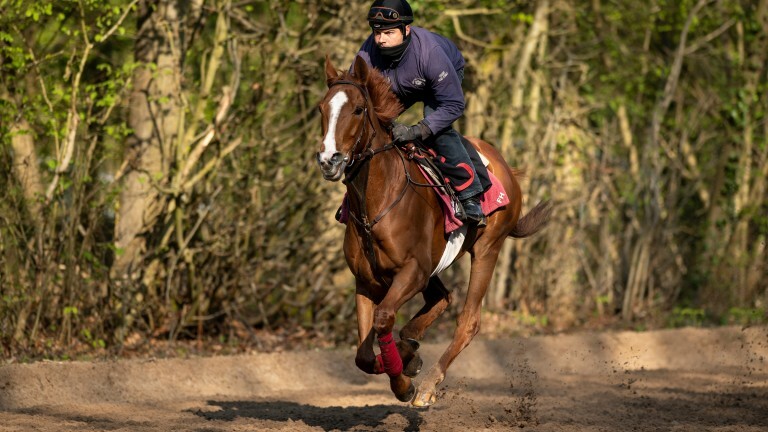 Polydream will attempt to atone for two pieces of misfortune at the end of last season and will get her 2019 campaign underway in the Prix du Muguet at Saint-Cloud on May 1, while another of Head's flying fillies, With You, is set to line up in the Prix d'Ispahan at Longchamp on May 26. One stable star who has already run this term is Prix du Cadran hero Call The Wind, who finished third to Melbourne Cup winner Cross Counter in the Dubai Gold Cup. Head remains undecided as to whether to head for the Gold Cup at Ascot with George Strawbridge's five-year-old son of Frankel, who still has relatively few miles on the clock. "I was a bit disappointed by the way he ran [in Dubai]," said Head. "I think going left-handed, he didn't like it. But the horse looks very well. The question is, are we going to Ascot or not? We'll see. "We'll talk with George Strawbridge and see what he wants to do. I think he will still improve, he is a young horse who didn’t run at three and only started as a four-year-old." Head also revealed that Merimbula, an impressive winner of her only start at two, will make her return to action at Saint-Cloud this Thursday.